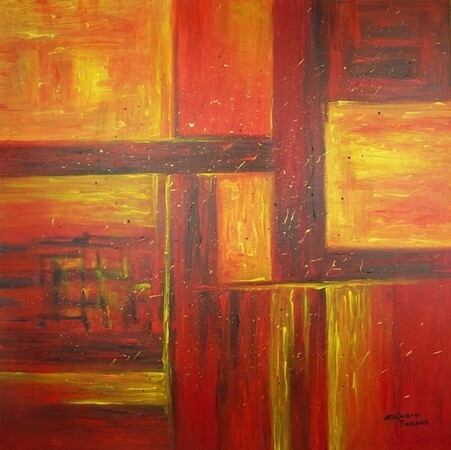 Description: An original abstract by Kalpana Soanes. Rich, warm colours on deep edge canvas. An artwork to brighten up any wall, any season. The painting continues over the sides and the artwork is ready to hang. There is no need for a frame. This original piece will be delivered with a signed Certificate Of Authenticity.